V-Moda LP2 review photos by Brian Watkins. I recently got my hands on the V-Moda LP2 circumaural headphones to have something a bit more travel-friendly than my big Denon AH-D5000s. 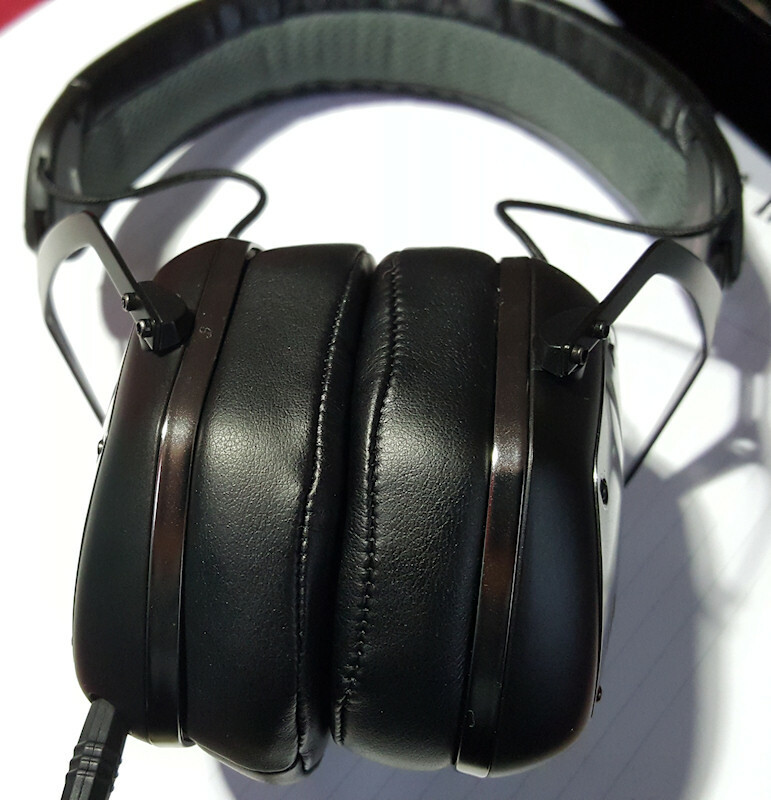 The Denons are an awesome set of cans, but they’re clunky and their mahogany earcups are easily scratched. The entire V-Moda line has made a name for itself on being ruggedly built, and my father bought the M100s some time back and loved them. I’d originally looked at the LPs for something more affordable than the M100s in the mean time, but a lot of reviews mentioned the rather muted midrange. The LP2s were supposed to be a revised model with “refined” mids and highs and a bit tighter controlled bass and were almost just as affordable. If you’re used to wearing open (or vented) headphones the sound of sealed cans is surprisingly in your face. Though the Denon AH-D5000s bill themselves as sealed headphones there is some sound leakage and many reviewers have said they have a fairly open sound. The LP2s, on the other hand, form a tight seal to your head and leak very little sound. This also means they’ll block out a lot of outside sound. Be careful if you’re walking outside because you won’t be able to hear traffic, but it’s useful in bustling areas with ambient noise while you’re trying to enjoy your tunes. Even in a quiet room these sealed cans create a very intimate listening experience since the rest of the world seems to mute; it’s just you and the music. I found that a little jarring at first, but it’s grown on me. 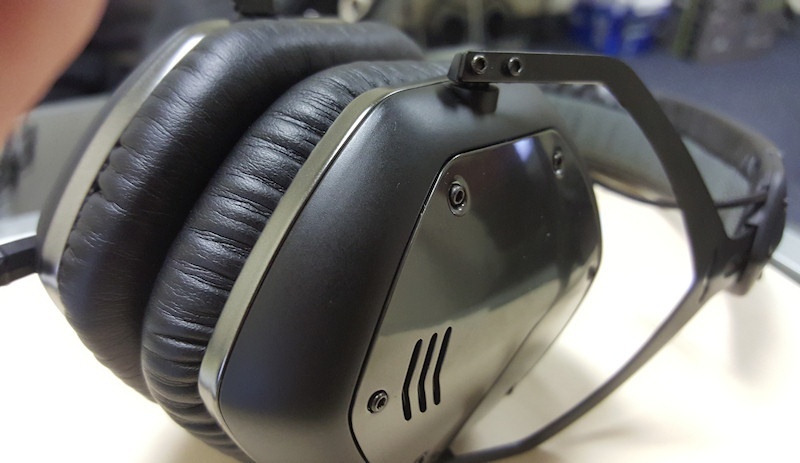 The build quality of the V-Moda LP2s is top notch. 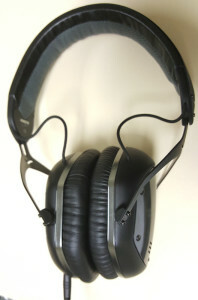 Their steel frame is bendable and very sturdy around where it connects to the earcups. This makes them great for pulling off your head quickly when needed or wearing around the neck between listening sessions. I also like the 45 degree plug on the cord, which is nice for laptops, music players, and phones. The accessories the V-Modas come with are more plentiful than any headphone I’ve owned, including an alternate cable with a microphone, a hard travel zip-up case, carabiner, and alternate shield plates for the outside. Mine came with gun metal gray/silver, which I thought looked cooler than the matte black and were easy to swap out with the supplied Allen wrench. I’ve had thicker headphone cables, but the Kevlar braid seems durable and isn’t very microphonic. There is zero noise in the signal, so quality is good there, too. These are definitely heavier in the bass than other headphones I’ve used. Heavier than the D5000s which are already called “too bassy” by some audiophiles. I disagree there, but I do find the upper bass on the LP2s a little overpowering. If you have a music player with an EQ or are listening from a PC, I’ve found that damping the 180hz area by 2-3dB helps. The deeper bass is fine by me; it’s robust and subwoofer deep, requiring no boost to sound powerful. The mids are a little subdued for my taste. Not enough to make me dislike the headphones, but a little EQ’ing here also helps. I don’t mind using EQ settings, but this was a shift for me coming from the AH-D5000s which in my opinion sounded great on all sources with zero EQ. Then again of course we’re talking headphones that once retailed for $600 versus the LP2s that run around $200 new, so it is what it is. It’s important to make the distinction between frequency volume and detail. Some headphones lack detail, period. Amping certain frequencies with an EQ just makes them louder, but you’re still missing those details. These headphones proved to have nice detail in the mids. I found that a +2-3dB in the 1Khz and 6Khz spots brightened them up. Soundstage is about what you’d expect from sealed headphones, which is to say narrow and a little “in your head” compared to open headphones that have a more natural sound. Still, panning and instrumental detail comes through pretty nicely on the LP2s. People often cite techno and rap as where these headphones shine, which I can agree with, but I think they also do well across most genres. I’ve put them through their paces on rock like Tool, Alice in Chains, and Led Zeppelin. Then to poppier music like Phil Collins and a bunch of 80s stuff. Piano-driven artists like Billy Joel, Elton John, Ben Folds, and Fiona Apple were still hearty and fun. The electronic genre, of course, shines with artists like Roni Size, Moby, Savant, Hive, and Royksopp. Occasionally on some of the non-techno genres the upper bass sounded a little bloated with certain instrumentation even with the 180hz attenuation. But that improved with the XL earpads, discussed below. 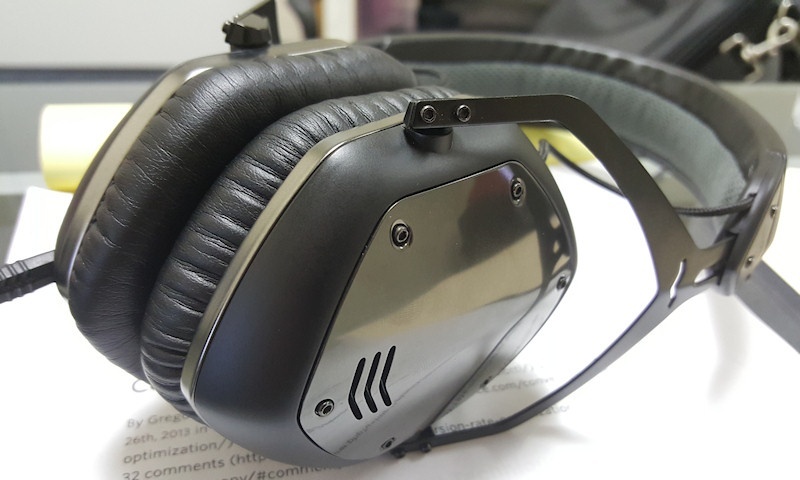 People say that the V-Moda M100s have greater detail in the mids and highs which make them a future consideration. But for what they are the LP2s are pretty solid. And any headphone that has enough bass to not need any kind of boost from mobile devices is a big win for a lot of folks. Ready for your closeup, Mr. LP2? Sources sampled on: Harmon Kardon 3490 receiver via HDMI/Optical connection, my Thinkpad laptop, and Galaxy Note 5. Sampled a mix of high bitrate MP3, high bitrate M4A, and FLAC files. V-Moda makes a cushier version of the earpads for the LPs, LP2s, and M100s (same fit for all models) that get universal praise for the comfort they provide. I recommend them to anyone with one of these models. 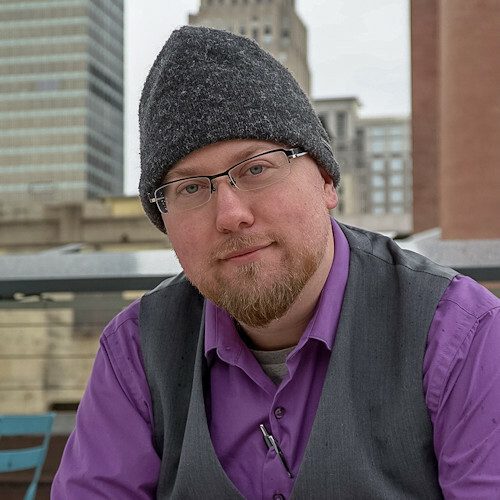 I wear glasses and found that the tightness of the LP2s got a little uncomfortable with how it squeezed the frames against the side of my head. Totally alleviated with the XP earpads. Here’s a good guide on how to switch the earpads. It was trickier than it looked, but not too bad. The stock pads are also shallow enough that your earlobes might rest on the driver. 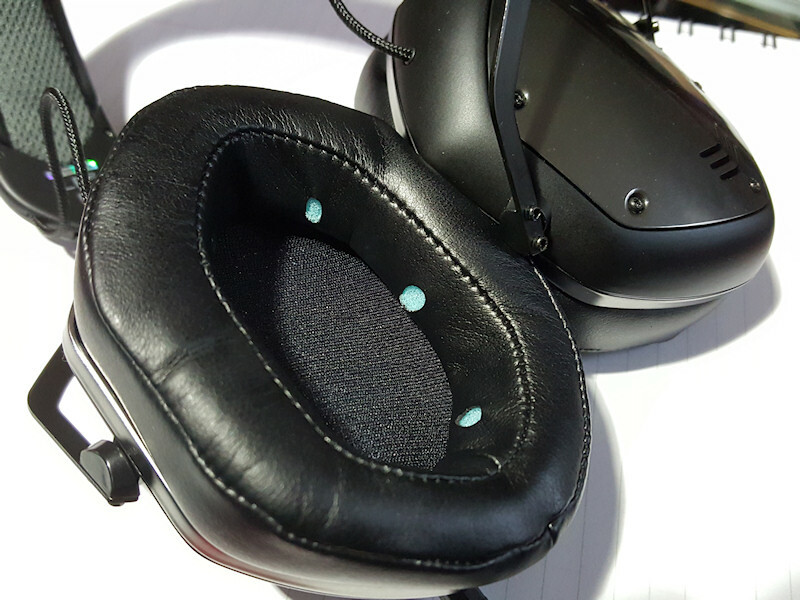 The XL pads put some extra distance there as well, which improves comfort for long listening. But is it all just about comfort? I think the bigger pads improve the sound as well in a subtle but pleasing way. That somewhat overpowering bass rounds out a bit and fades into the mids better, and the sound stage seems wider since the drivers are farther from your ears. These are two areas these headphones are a little lacking, so the improvement is a welcome one. 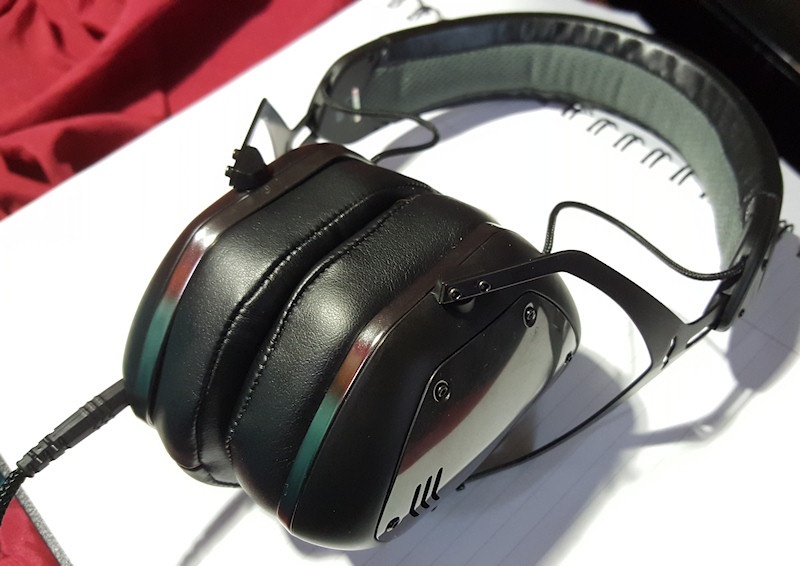 I liked the sound of the LP2s overall anyway, but the added comfort and sound refinement offered by the XL earpads make these a very nice pair of headphones to wear while working and for extended periods. I’d give the LP2s a 7/10 stock, and an 8/10 with the XL pads. Hey dude! Firstly awesome review and thanks! 🙂 I just wanted to ask you a question, would these fit on a guy with big ears/head? Thanks for reading and glad the review was helpful for you! I think they would. I have a smaller size head and use a setting pretty far down on how open the headband will open, so it seems like there’s a good amount further they’d accommodate. Also, if you use the XL earpads you’ll have more earspace. I’ve talked with others with larger ears that say the stock pads rested on the tops of their earlobes. Not super uncomfortable, but definitely more comfortable with the XL pads that better enclosed the whole ear. Cool review. Do you find the sag in the midrange consistent across all the sources you tested the headphones on? Good question. I did, but it did vary a bit. It sounded a little more balanced on the Harmon Kardon receiver, not surprisingly. Might just be the extra power from that amp helped liven the headphones up a bit. I still needed some EQ boost in the mids on my Note 5, but didn’t find that I needed much attenuation in the upper bass there. On my laptop the upper bass seemed more bloated, so it needed a bit more attenuation there. Short answer, the upper bass seemed a little bloated everywhere and the mids a little recessed across all sources, but the degree to which both were true varied a bit. Very nice write up. Glad to hear the XL ear pads made a nice improvement. Maybe at some point I’ll get the XL pads. Might make my m100’s Even more awesome!! Yeah I definitely recommend them. Very comfortable. Next time I see you I’d be interested to do an A/B listening comparison with the M100s and LP2.